During cold and flu season it can be a challenge to find the right medication to help you get back on your feet. The pharmacy aisle has so many options and it can be hard to know where to start. 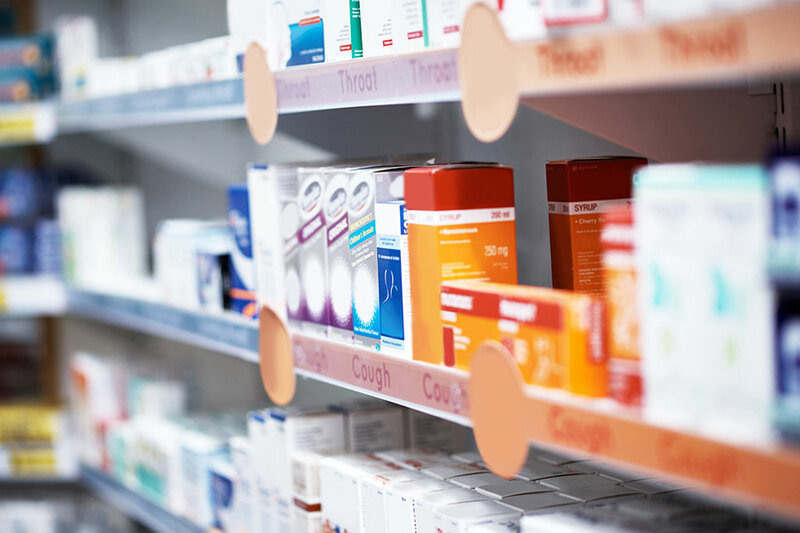 If you do need to look for a medication, here are some tips to help you navigate the cough and cold aisle this season. Maximum strength does not always mean the medicine is better. Maximum strength cough and cold products combine many medications into one. You may not even need some of these medications based on your symptoms. As you start your search, think about what is bothering you the most. Is it a headache? A stuffy nose? A cough? Your symptoms are the first clue toward picking out the right medication. Many cough and cold medications interact with other over-the-counter and prescription medicines you may be taking. Medications that are used for thinning the blood, high blood pressure, depression or anxiety, pain, sleep, glaucoma, and many more can interact with cough and cold medicine. Certain medical conditions can also be a reason to avoid a medication. Before purchasing, you should always read the “Warnings” and “Ask your doctor or pharmacist” sections on the Drug Facts panel. Just like tip number one, more is not always better. Taking too much of a non-prescription or prescription medication can be dangerous. Be sure to take the medication exactly as described in the Drug Facts panel. Keep track of your dose time and how much you took to avoid going over the recommended daily limits. Only use the medication for the amount of days stated on the label. Using it longer or more often may raise your risk of having side effects. Age is an important factor for selecting a medication. Many cough and cold products are only approved for adults. The products that are specifically for infants or children often contain different medicines than those for adults, or different strengths of a similar medication. Adult strength products should not be given to children under the age of 12 without speaking to a doctor first. Even some adults may need lower doses of medication depending on their age, medications, or other medical conditions. Check the Drug Facts panel to be sure the product you are considering is age-appropriate. If your symptoms last more than seven days or you are not getting better, you should reach out to your doctor for advice. There may be a lot of options to choose from at the pharmacy but remember that you are not alone. Your local pharmacist is an excellent resource to help you select a safe medication that meets your needs. We encourage you to visit us at the pharmacy counter or reach out over the phone with any questions you have before starting a new medication. Your pharmacist’s goal is to help you feel better as soon as possible in the safest way possible. Katherine Corsi is a clinical pharmacist specialist with Lifespan Pharmacy.